If you want to stop relying on vegetables bought from the supermarket and start growing your own, you should know that this is an ambitious project. Especially if you are a beginner and you don’t have any gardening experience, you should start small and grow vegetables that you know don’t require as much expertize. Luckily, there are plenty of such options that will provide you with a lot of vitamins and nutrients. Today, we are going to take a look at the 11 easiest vegetables to grow and talk a little bit about each of them. There aren’t many people who can say they don’t eat tomatoes. They are delicious and nutritious, and as it turns out, not so difficult to grow. All they require is a lot of sun exposure and compost, and a little bit of water. You will be able to enjoy fresh tomatoes in the summer, whether you plant them in the garden or in containers. Just remember to support their stalks with some stakes. Also, don’t worry too much if you forget to water them often. Some people actually claim that they taste better if you don’t provide them with too much water. As an extra tip, you can plant some basil next to them, since this will repel pests. Yes, that’s right, cucumbers are also some of the easiest vegetables to grow. They too enjoy a lot of sunlight, and you have to support their growth as well. In fact, all you really need to pay attention to is watering them, and they will grow unencumbered. Remember that they tend to stretch their roots a lot, so don’t plant them too close together. Also, it would be useful for you to fertilize the soil before you plant the cucumber seeds. You want it to be rich in potassium and nitrogen. Nothing beats fresh salad coming straight from your garden. 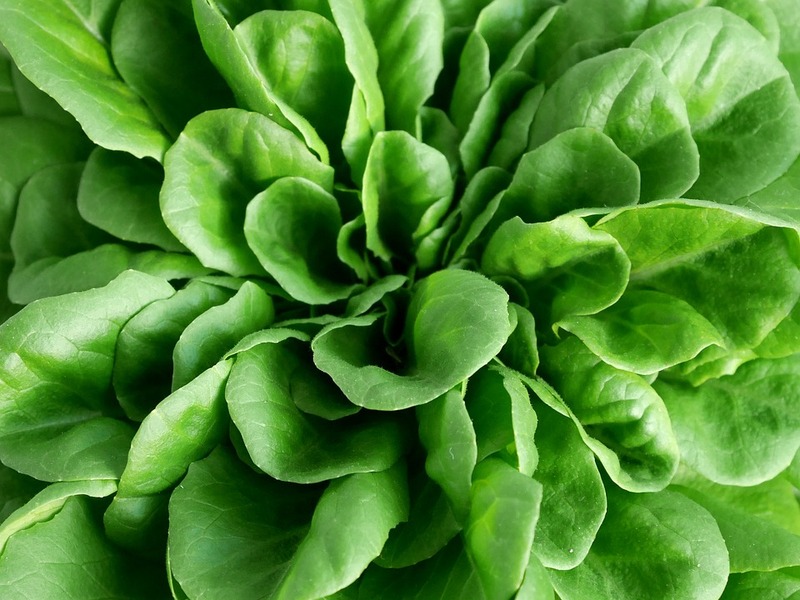 The many types of salad you can find are some of the easiest vegetables to grow, because you don’t have to wait a lot until you can harvest them. You can also grow a large quantity in a relatively small space, which means that even a container is a viable option. We recommend you to purchase a seed mix that contains a little bit of every type and plant them in the fall. Ideally, if you want to plant carrots, you should make sure your soil is not too rocky. However, a rocky soil should not stop you from growing carrots if you really want to. The only difference is that if the soil is rocky, the carrots won’t grow as big and might be crooked. But don’t worry, they will taste equally delicious. Otherwise, the soil should be well-drained and deep enough, since carrots’ roots tend to expand a lot. Even if they require less sunlight that tomatoes, you shouldn’t grow them in a very dark place either. Zucchini is a very prolific vegetable, so you don’t have to plant a lot of seeds in order to get enough zucchinis to eat. The great news is that you can also eat the blossoms, and you can grow the zucchini plants in a container. All you have to worry about is providing them with warmth and moisture. Precisely because of that, we recommend you to plant the seeds late in the warm season. It doesn’t matter what kind of beans you choose, since they all provide you with nutrients and vitamins with little to no effort. Beans are some of the easiest vegetables to grow because they are easy (and fun) to harvest and you can also freeze them and use them in the cold season. If you don’t want to bother with finding a support for them, you can always plant bush beans. If you want to enjoy pole beans, we recommend planting the seeds near a fence that the plants can climb. Whatever type you decide on, remember that you need to provide the plants with sun and moisture. Radishes aren’t great only when added to your salad. They are also delicious if you eat them as a snack. They are one of the fastest and easiest vegetables to grow, only needing 20 days until they are ready to harvest. Moreover, they don’t require as much sunlight as other vegetables, so you can plant the seeds in partly shaded areas as well. You don’t need to water them too much, just remember not to let the soil dry out completely. If you are looking for a way to bring some color into your dishes, you might want to consider growing bell peppers in your garden. They come in many different colors and are really easy to grow, even in a container. Plus, they are nutritious and will help you save money if you used to buy bell peppers at the supermarket. Another vegetable that you can use both in salads and as a delicious snack, beets grow really fast and you don’t have to put a lot of effort into planting and harvesting them. Just make sure that before you plant the seeds you clean up the soil and remove any stones or clumps, since beets grow better in loose soil. We also recommend purchasing a mix of seeds so that you can get yellow, red, and white beets. The color isn’t the only thing that differs. You will also be able to tell a difference in the taste. When it comes to growing onions, you really don’t have to worry about maintenance. All you need is a well-drained soil where you plant the onion bulbs. We recommend you do that in the fall, but you can also plant them in the spring. Other than that, there isn’t much that you can or should do. At the end of summer, you can simply take the onions out (you will notice that the foliage is now yellow) and place them in the sun for a while. Only after they’re completely dry you can store them away. 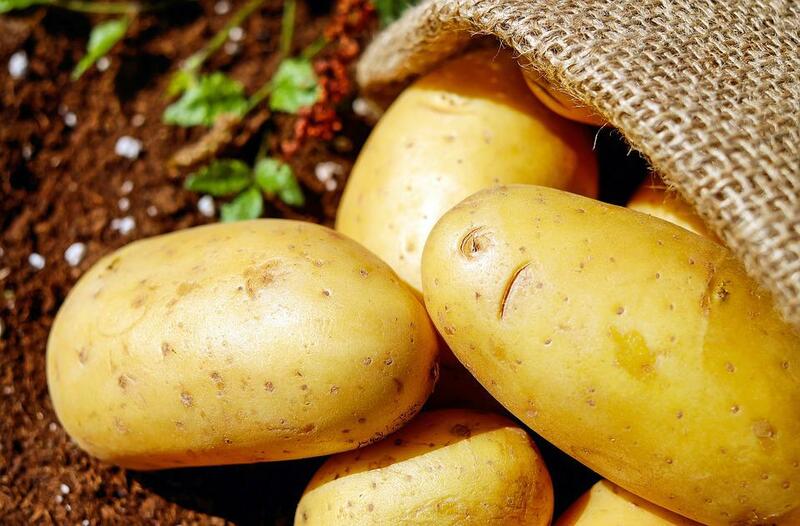 It’s not an exaggeration, potatoes really are one of the easiest vegetables to grow and then store away. That is because if you keep them cool, you will be able to enjoy the harvest for a long time. They don’t need a lot of maintenance, except for plenty of compost. Moreover, if you’re looking for an even easier way to grow potatoes, we advise you to plant the seeds in straw rather than in soil. 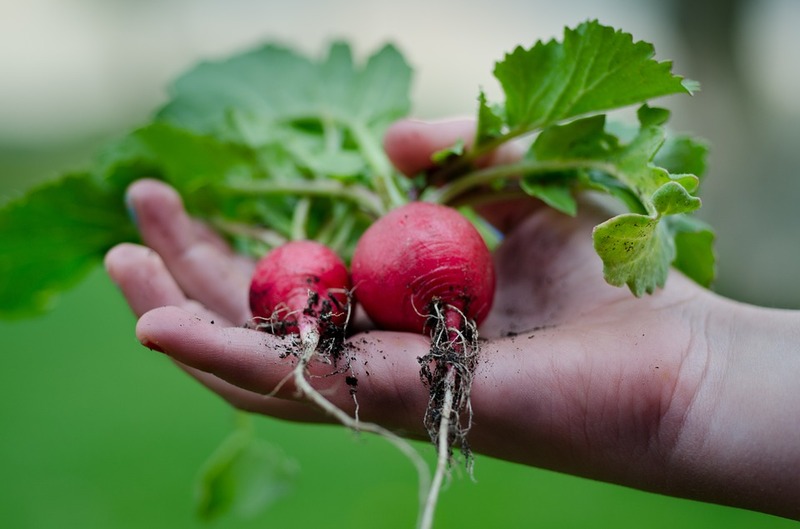 If you would like to grow more vegetables by yourself, but are worried that your gardening skills are not enough for a successful harvest, you should start with these easy to grow vegetables and work your way up. Even a small percent of the vegetables we talked about today are enough to provide you with nutritious and healthy meals. 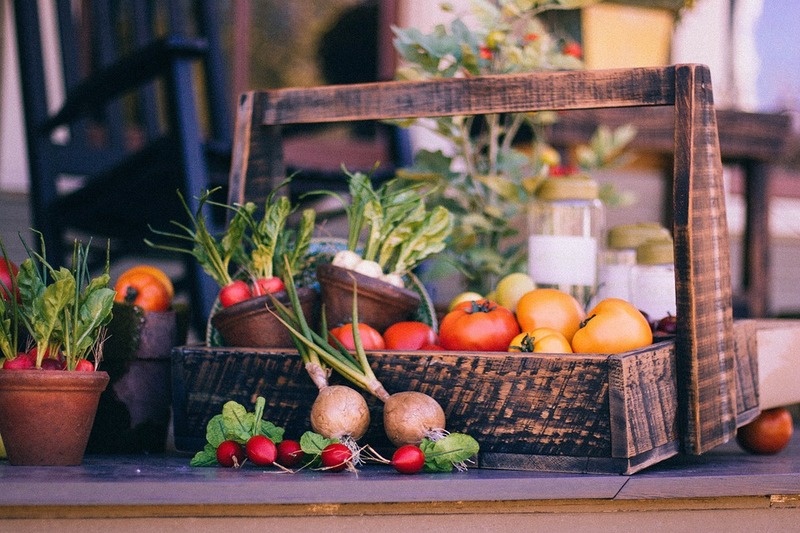 So depending on the space you have available in your garden, or the number of containers you can afford to store inside your house, choose some of the most appealing vegetables from the above list and look for some seeds at the farmers’ market. Hey Buddy!, I found this information for you: "Top 11 Easiest Vegetables to Grow When You’re a Beginner". Here is the website link: https://backtofarm.com/easiest-vegetables-to-grow/. Thank you.